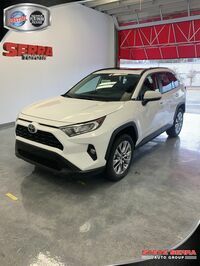 The 2019 Toyota RAV4 has been fully redesigned for the new model year. With the updates to the lineup’s feature packages, connectivity offerings, and off-road performance ability came some changes to the trim level configurations. The SE and Platinum trim levels have been eliminated and five trim levels remain: LE, XLE, XLE Premium, Adventure, and Limited. 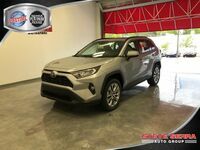 To help car shoppers with the 2019 Toyota RAV4 research process, we have included the pricing information and standard features for each of the 2019 RAV4’s trims below. 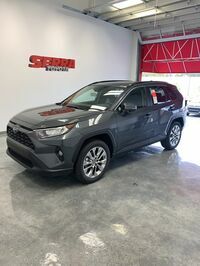 Once drivers have settled on the option that fits their needs best, browse the current inventory at Serra Toyota in Birmingham, AL to see if we have a match. 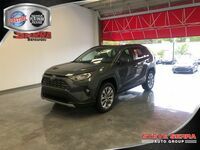 LE Trim – The LE trim is the base trim on the 2019 Toyota RAV4 and the most budget-friendly option starting at $25,00. The LE trim comes standard with Toyota Entune 3.0 with Apple CarPlay and Amazon Alexa compatibility, the new Toyota Safety Sense 2.0 active safety bundle and more. XLE Trim – Crossover shoppers interested in a few extra creature comforts may be interested in the XLE trim starting at $27,300. 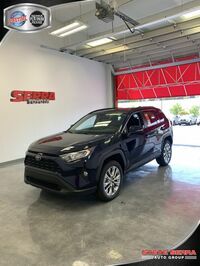 In addition to the LE trim features, the XLE trim adds auto climate control, a power liftgate, Blind Spot Monitoring with Rear Cross-Traffic Alert, and the Toyota Smart Key system with keyless entry and ignition. XLE Premium Trim – The XLE Premium trim falls in the middle of the pack with a starting MSRP of $29,500. Similar to the XLE trim, XLE Premium ups comfort factor with upgraded front seats and adds additional active safety including an available Intelligent Clearance Sonar with Rear Cross-Traffic Braking. Adventure Trim – The Adventure trim starts at $32,900 and is perfect for drivers who like to take their outdoor travels to the next level. 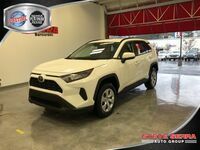 In addition to most of the features listed above, the Adventure trim also adds performance-focused features like Dynamic Torque Vectoring All-Wheel Drive, a 120V power outlet, heated seats, and a multi-information display. Limited Trim – The Limited trim is the lineup’s most advanced and most expensive with a starting MSRP of $33,500. This trim is complete with a handful of premium upgrades including a larger infotainment screen with Dynamic Navigation, heated front seats, a panoramic glass roof, a 360-degree camera system, and more.